These stunning gold wedding rings are handmade using 9ct yellow gold. The rings have a highly polished finish and hand engraved on the outside. Availability: In stock Size: 45 × 60 cm Shipping Weight: 0.3 kg Categories: Featured, All Jewellery, Rings, Commissions, Ring, For Woman, For Men, Wedding, Wedding Jewellery, Wedding Rings. Tags: 9ct yellow gold, bespoke wedding rings, gold wedding rings, handmade, wedding rings. These stunning gold wedding rings are handmade using 9ct yellow gold. 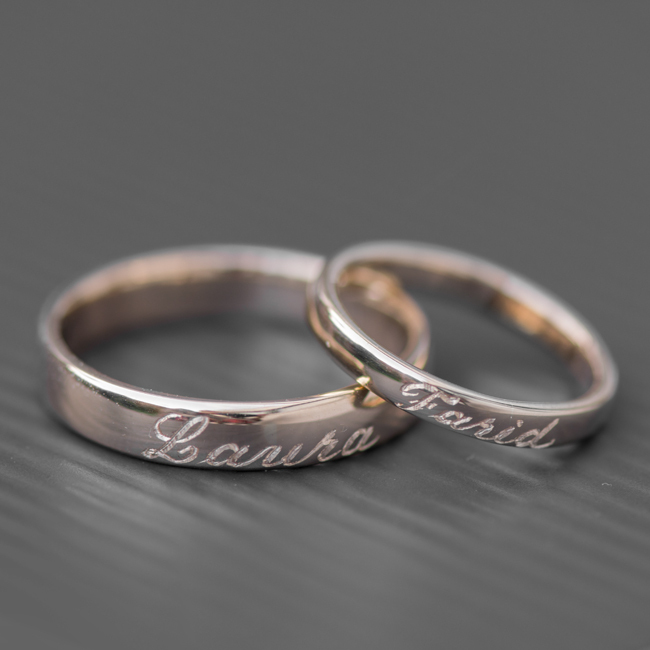 The rings have a highly polished finish and hand engraved on the outside. The Perfect His & Hrs Wedding bands.